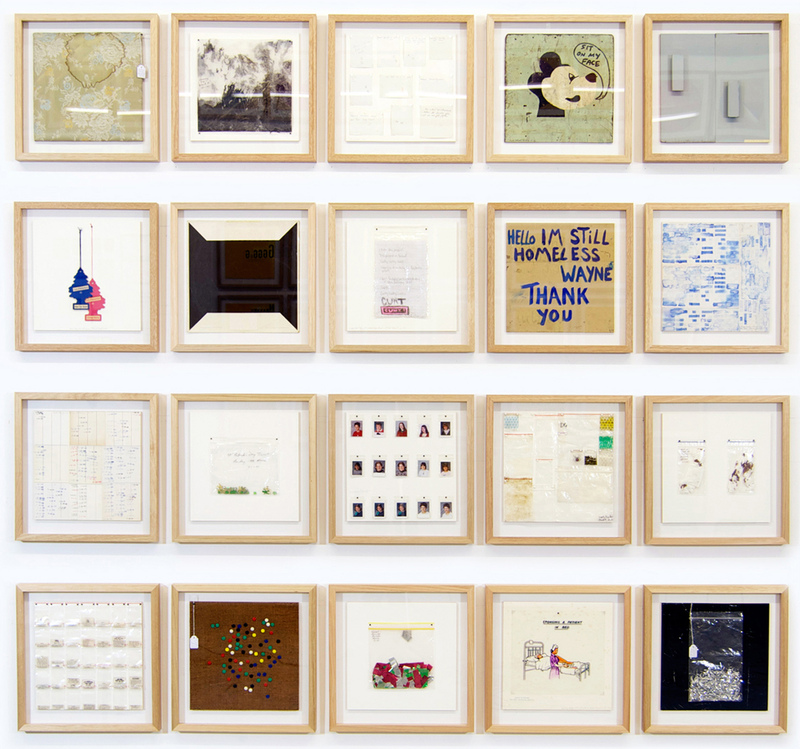 Journal 2014 is the twenty-first Journal completed since 1990 and the first since 'God Bless America' produced in 2008 while undertaking a studio residency at the 18th Street Arts Complex in Los Angeles. I developed the framework for the Journals while traveling through the USA in 1990. As I traveled I encouraged myself to engage with the local environment on various levels depending on what was presented and observed. They are an attempt to process or collate experiences, materials, events, and information as a way of both, recording, and ordering the world around me. This way of working offered me enormous freedom to explore different possibilities, to work quickly through concepts and ideas. As a result each work was essentially different from the last, while at the same time relating to each other through the shared commonality of the overall experience. Some images were painted while others were assemblages or collages of collected/found material, others were collaborations with people met along the way. The common denominator is that every panel is a standard 30cm x 30cm. It was my first attempt at an experiential recording of my actions - an archive of experiences as well as a chronological diary or journal located specifically within time and place, works that could only have been made while travelling through or living in these various locations. These 'Journals' were originally developed from my earlier travel diaries which often contained drawings and tiny collages of found material as well as notes and ideas for future works.